The Essential Music Theory Blog keeps you updated with all the site news and any other relevant info as it happens, so don't delay, subscribe today! Continue reading "Tremolo Notation & Equivalent Applied To Drum Rolls "
What is the dotted note value of a semibreve? Continue reading "Dotted note values"
What are the definitions for E7 F7 G7 Bb7... etc.? Continue reading "Definitions for 7th Chords"
Continue reading "Mr. Robert Cooke"
Hello. How is it called the structure where three notes are played that have the duration of a fourth ? Thank you ! Continue reading "3 notes played that has the value of a fourth"
I can't seem to learn to read music? Continue reading "I can't seem to learn to read music?" Continue reading "Half-Double Smile mark between measures "
Why are the 4th,5th and 8th considered perfect? 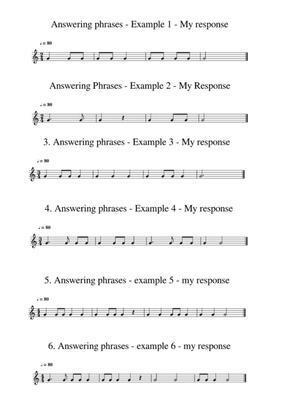 Continue reading "Seeking feedback on my completed phrases - page 54 - 'Essential Music Theory'"
Continue reading "-3 notation over an eight rest on beat 4"
How do we determine the key signature for flats with 2 or more flats? 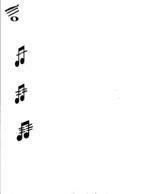 I know what a stave looks like but I cant figure out where all the notes go. I have been looking every where but they don't explain it enough for my understanding. Continue reading "Key transition (Modulation)"
How many quavers are there in a minim?